Cyprus-based binary options platform provider, SpotOption, announced today to Forex Magnates the official opening of their new Hong Kong Centrium office, in the heart of the Chinese metropolis. The SpotOption Hong Kong office will employ twenty-five customer representatives to start with, and the firm says it will expand together with the expected business growth from the region. 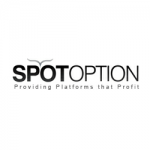 SpotOption currently has fifty Asian clients, and this number is expected to double by next year thanks in part to the new location, according to the company’s estimates. Twenty-five of SpotOption’s Asian clients are binary brokers from China specifically and the firm already has several others in process. 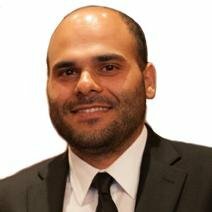 “Local representation is imperative for providing clients with the best service possible,” says Ran Amiran, CEO of SpotOption. “Accessibility and availability are main factors when considering service, so our office in HK will ensure that we meet and surpass the criteria,” Amiran added. The huge Chinese market has been the major growth factor in the business expansion plans of many brokers and technology providers in the global financial trading industry. Recently, there were positive developments in the binary options segment in China, such as leading web portals in the country getting involved. FX and binary options technology developers focus on reaching out to new prospective brokers from within China, offering them education and training to leverage their knowledge on the local market.